The Convention on the Prohibition of the Use, Stockpiling, Production and Transfer of Anti-Personnel Mines (official name) also known as Mine Ban Treaty, Ottawa Treaty or Anti-Personnel Mine Ban Convention is the cornerstone of the international effort to end the suffering and casualties caused by anti-personnel mines. The Convention provides a framework for mine action, seeking both to end existing suffering and to prevent future suffering. It bans the use, stockpiling, production and transfer of anti-personnel mines. 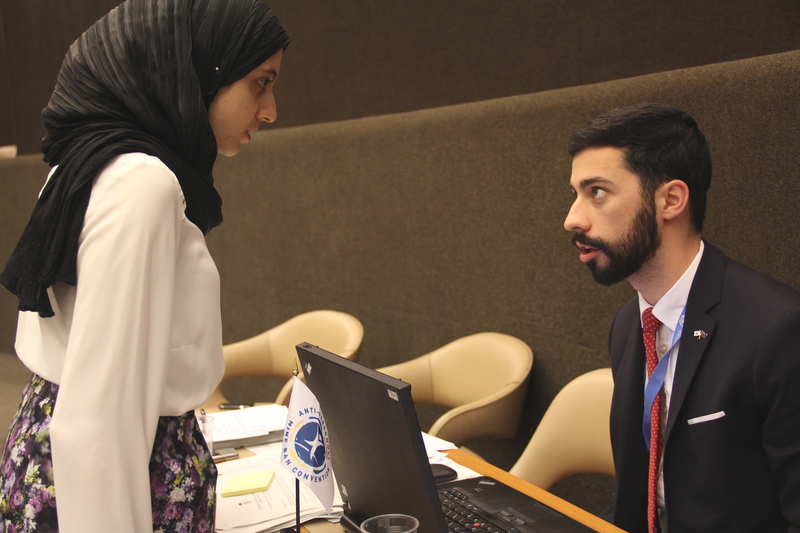 In addition, states that accede to the Convention accept that they will destroy both stockpiled and emplaced anti-personnel mines and assist the victims of mines. The Convention banning anti-personnel mines indicates that the Convention's States Parties "shall meet regularly in order to consider any matter with regard to the application of implementation of (the) Convention." The Convention prescribed that Meetings of the States Parties would be held annually until the Convention's First Review Conference, which was held in 2004. At the First Review Conference, the States Parties agreed to hold annually, until the Second Review Conference (in 2009), a Meeting of the States Parties "which will regularly take place in the second half of the year, in Geneva or, when possible or appropriate, in a mine-affected country." These meetings are known as MSP Meetings of the States Parties) and it is sort of like the Assembly of its Members. 3-7 May 1999 | Maputo, Mozambique. 11-15 September 2000 | Geneva, Switzerland. 18-21 September 2001 | Managua, Nicaragua. 16-20 September 2002 | Geneva, Switzerland. 15-19 September 2003 | Bangkok, Thailand. 28 November - 2 December 2005 | Zagreb, Croatia. 18-22 September 2006 | Geneva, Switzerland. 18-22 November 2007 | Dead Sea, Jordan. 24-28 November 2008 | Geneva, Switzerland. 29 November - 3 December 2010 | Geneva, Switzerland. 28 November - 2 December 2011 | Phnom Penh, Cambodia. 3-7 December 2012 | Geneva, Switzerland. 2-5 December 2013 | Geneva, Switzerland. 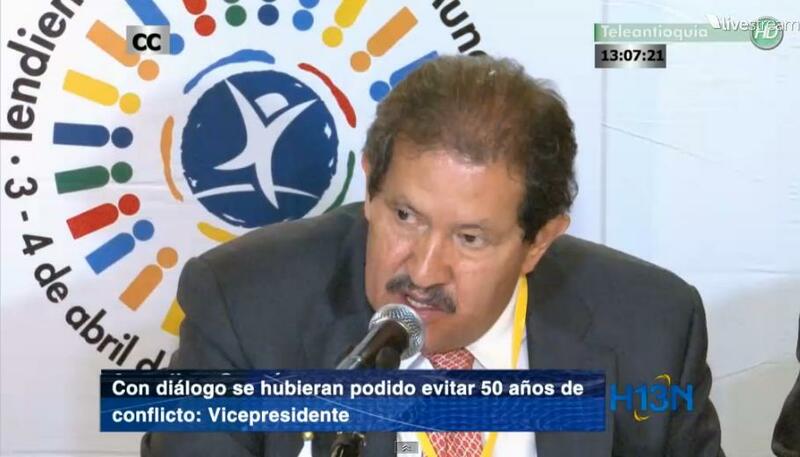 The flag of the Convention is the logo on a white horizontal background. 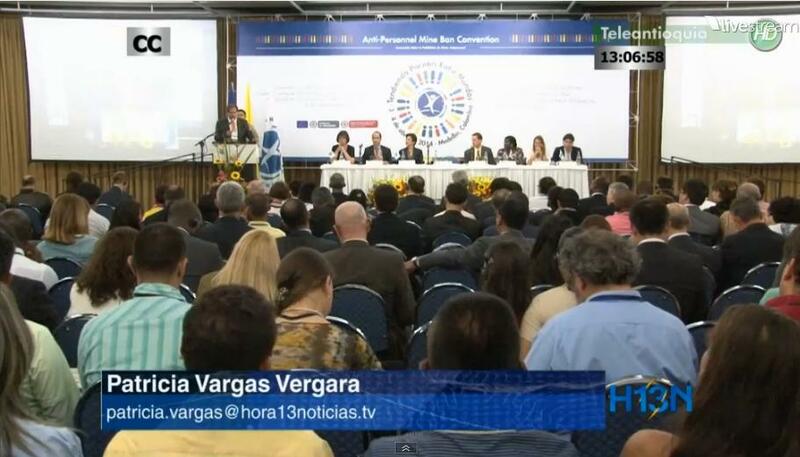 Images are screenshots of Hora13Noticias local news video reporting on the conference today. Here are other versions: Flag and Desktop flag.